As the world watched Saddam Hussein’s statue being torn down in Baghdad on April 9, 2003, the reign of a bloodthirsty dictator came to an end. One of the most heart wrenching chapters in the story of the liberation of Iraq is the tale of the people who probably cheered the loudest on that glorious day in April. And they are the same people who today find their very existence threatened. Iraqi Christians, once a robust community is now persecuted, threatened with violence and on the run. The majority of Iraq’s Christians have had to flee their historical homeland. Nearly half of the Christians who lived in Iraq in 2003 are now living abroad as refugees. Most of those who have stayed behind are displaced, targeted for acts of brutality and discrimination because they are neither Muslim nor Kurds and because many of them at one time worked with Coalition forces. 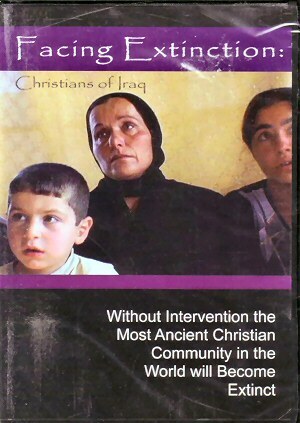 Given the inability or disinclination of Coalition forces to protect the Iraqi Christians and the political disarray of the Iraqi government, it is most likely that Iraq’s ancient Christian community will be extinct within one generation—a population of Christians who can trace their heritage back for two thousand years. Rejected by U.S. immigration policies and caught in a maze of United Nations red tape, most of the refugees wait for years in Muslim countries such as Lebanon, Jordan or Syria — places where they are hardly more welcome than they are in Iraq. Professionals, educators and skilled craftsmen, they all tell horrifying tales of how either they or their family members have been kidnapped, tortured and even murdered at the hands of Islamic extremists. The human suffering of these Iraqi martyrs is staggering. This documentary will chronicle the untold story of the “forgotten” Iraqis, who have been hunted and persecuted because of their faith and because they agreed to help Coalition forces bring order in the early days of the liberation. This is a tale of grinding bureaucracy and swift decisive life-saving action; horrendous evil and remarkable goodness; mean-spirited acts of cowardice and noble deeds of heroism. It is story that desperately needs to be told, for there is a world that needs to learn about this grave injustice and there is action that must be taken if a people are to be saved from extinction. Robert Marcarelli, an over twenty year award-winning filmmaker, has extensive experience in the film and television industries. He has over twelve long form features to his credit, which have been distributed in over seventy countries worldwide. In addition, he has directed three hundred plus national commercials (“Fortune 500” clients). Robert has also produced and/or directed several miniseries and documentaries.